moyhu: December global surface TempLS up 0.12°C from November. 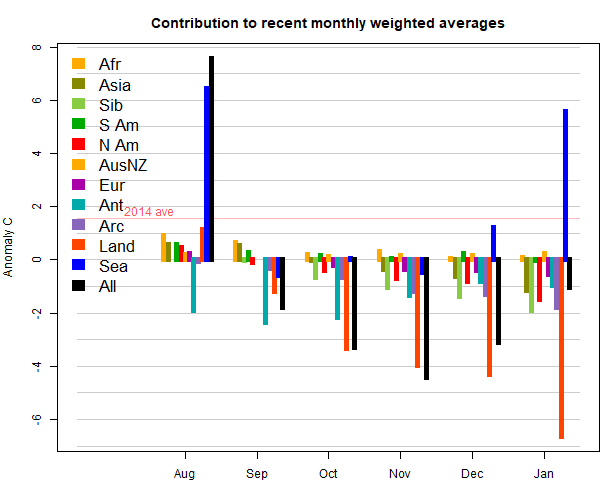 December global surface TempLS up 0.12°C from November. 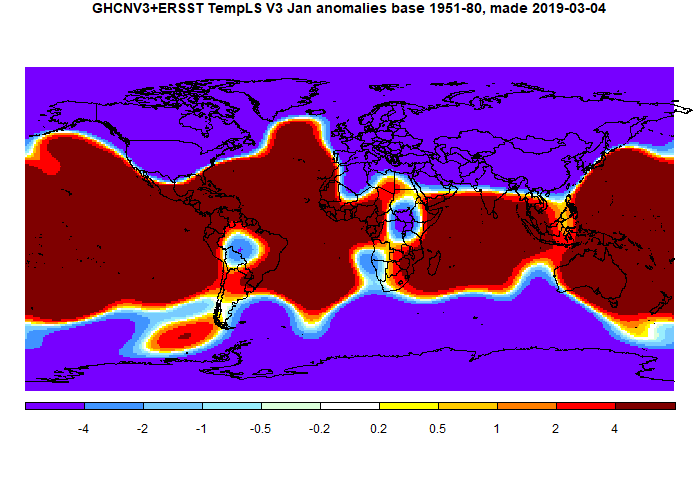 The TempLS mesh anomaly (1961-90 base) was 0.748deg;C in December vs 0.628°C in November. That continues the recent up-down alternation, and makes it the third warmest December in the record (near tie with 2017 for 2nd). The GHCN results were delayed by the US government hiatus. Significantly, for the second month in a row, SST was down, after a few months of rise. But land temperatures were generally higher. The big contributors to this were N America and the Arctic. Almost everywhere was warm, including Europe and Australia. A cool patch in mid-Siberia/Mongolia. Oh data, how I've missed you so.